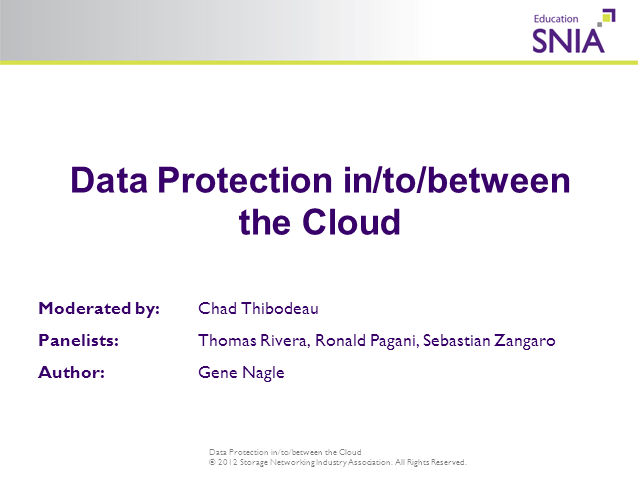 The increasing use of the cloud for data protection, including backup, disaster recovery, archiving and long term preservation, brings many benefits to IT shops and also some challenges. The webcast will consist of a presentation covering the current state of the industry and use cases related to data protection in the cloud. The presentation will be followed by a panel discussion with audience participation.